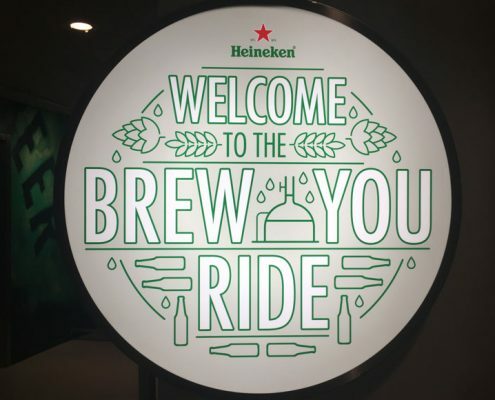 NorthernLight has been responsible for the concept, spatial design, visual design and project management of the new attraction of the Heineken Experience in Amsterdam, the ‘Brew You Ride’. 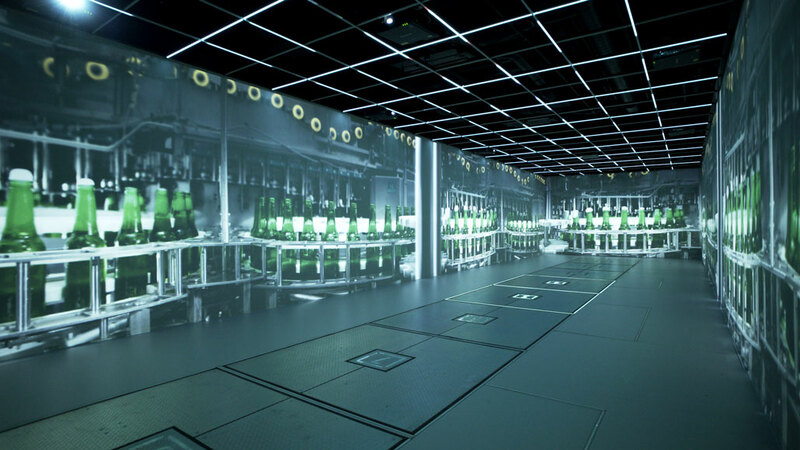 This audiovisual journey is an experience in five steps; it feels like going on an exciting journey with friends, from the Heineken brewing and bottling process, to enjoying your beer all around the world. 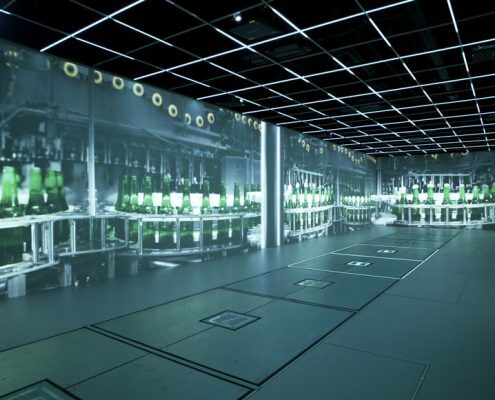 The ‘Brew You Ride’ leads visitors through a series of large scale multimedia installations, divided over 5 rooms spanning 500 square meters: The Waiting Room (impressive infographics show visitors the past, present and future of Heineken), the Kettle Room (experience the brewing process through a huge ceiling projection), the Bottle Room (experience the bottling process through immense surround projections, motion platforms and LED in ceiling and floors), the Couch Room (experience the enjoyment of Heineken beer all over the world through projection mapping on and around visitors) and the Bar (where you get your first real taste of Heineken beer). 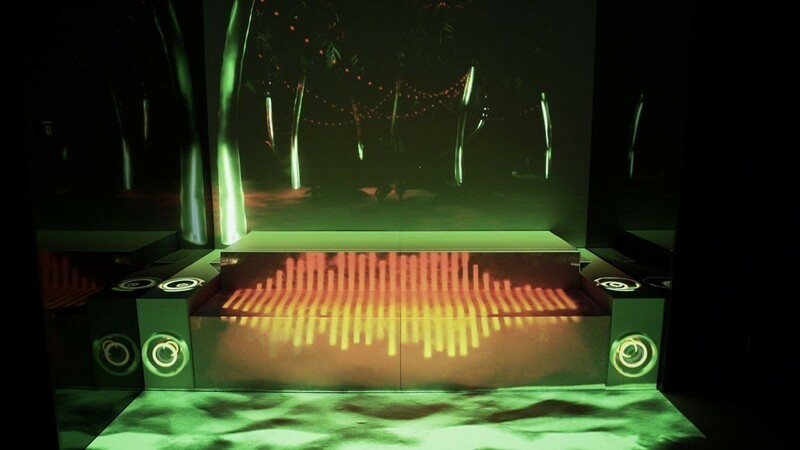 Impressive soundscapes link all 5 spaces together. 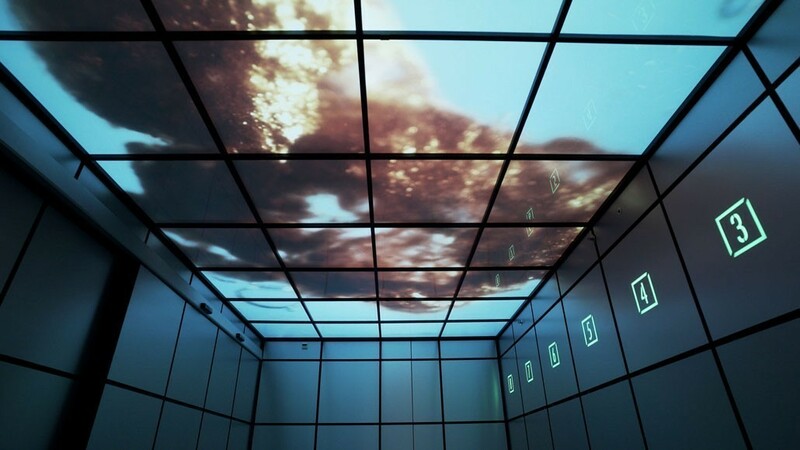 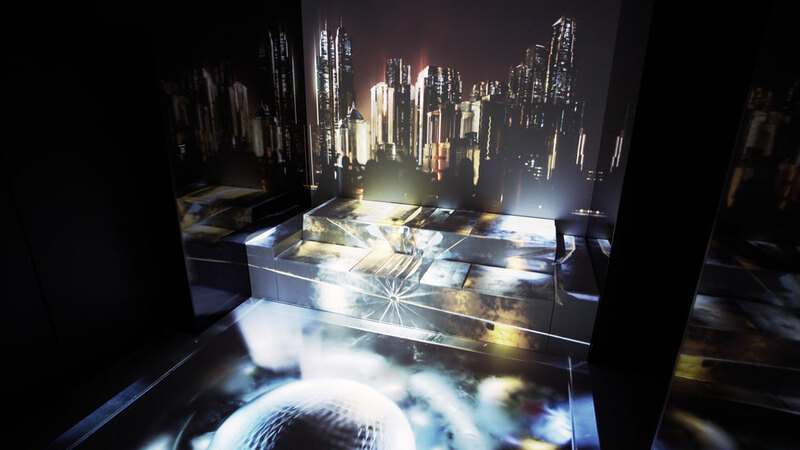 Throughout the experience high res surround projection and projection mapping is used. 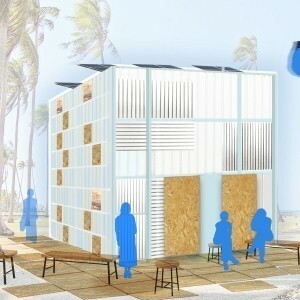 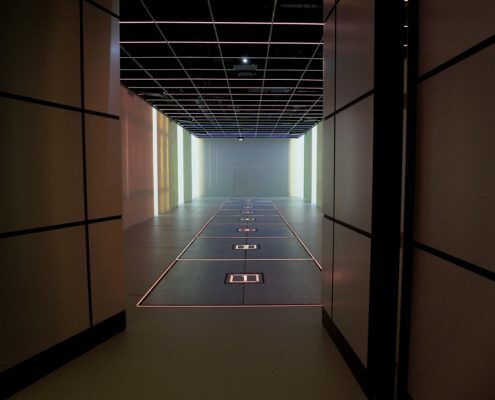 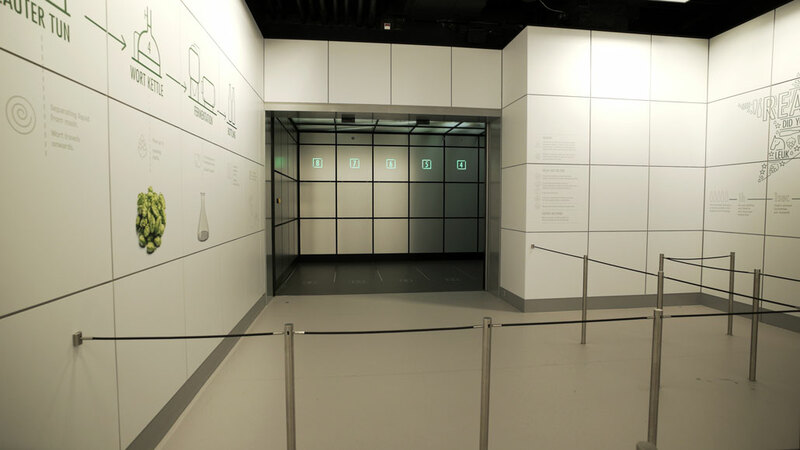 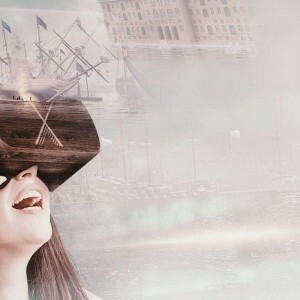 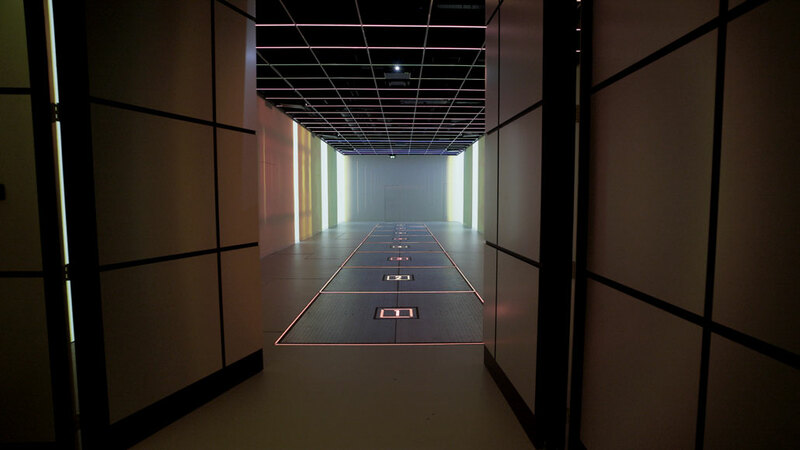 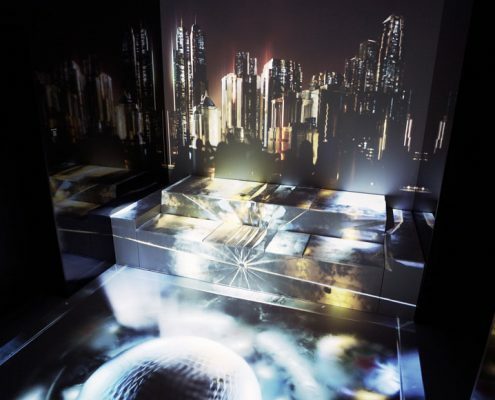 In previews visitors have described the attraction as a “spatial augmented reality experience”. 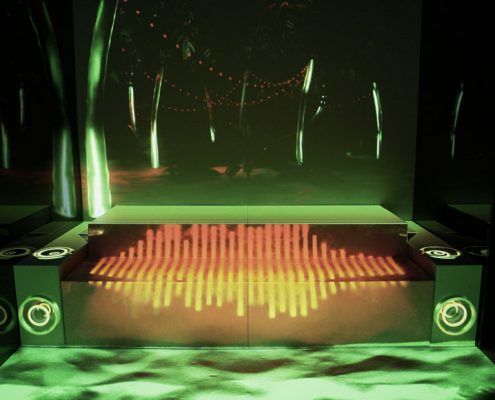 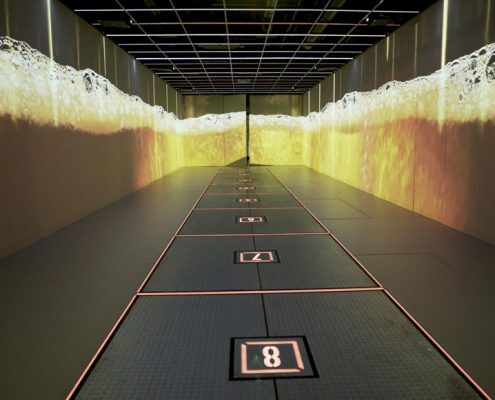 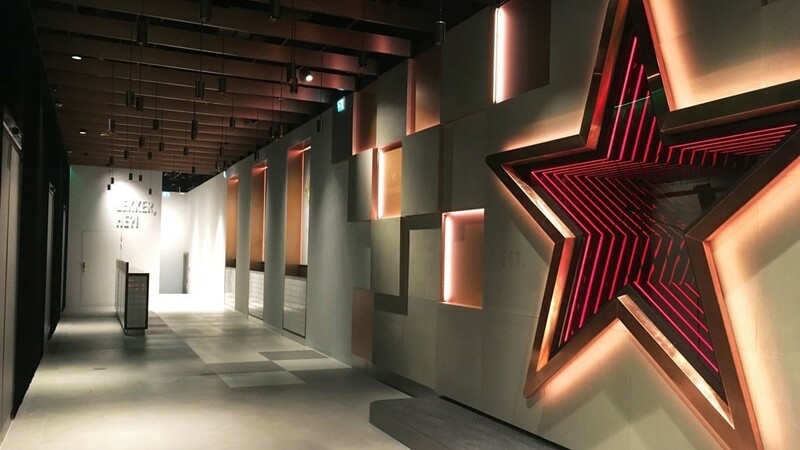 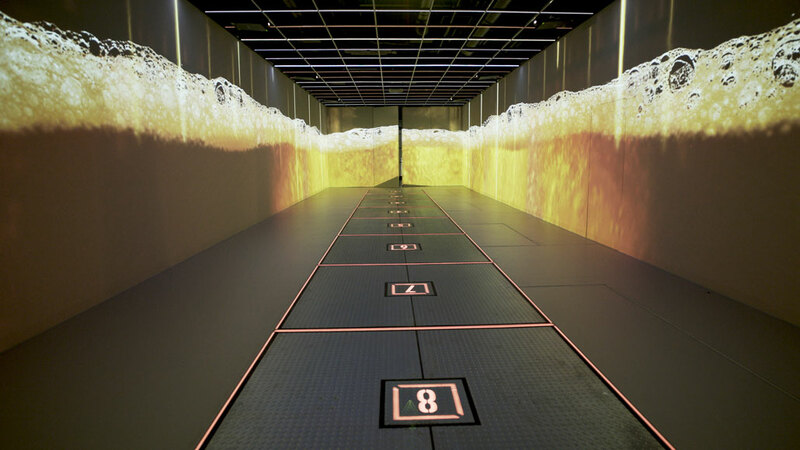 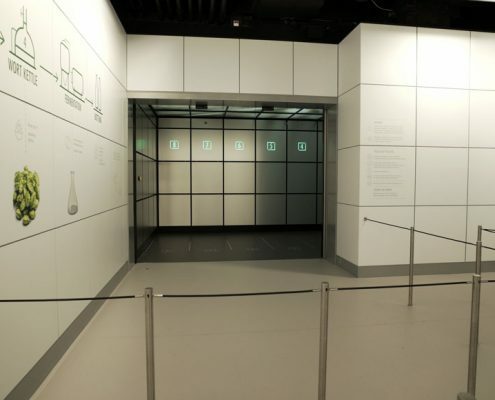 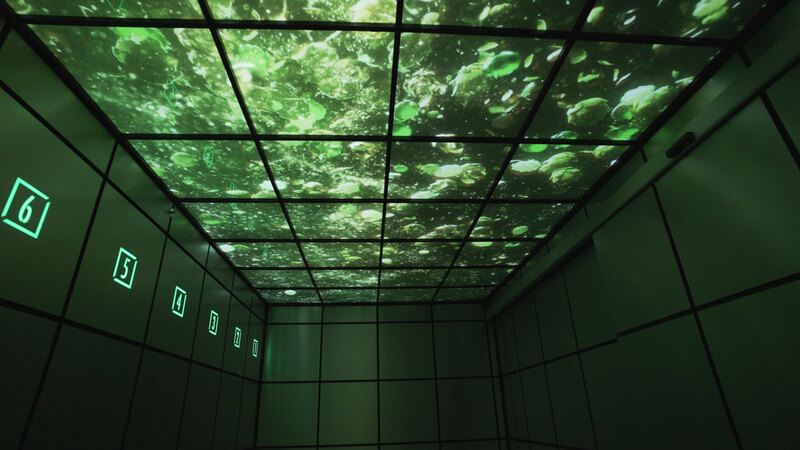 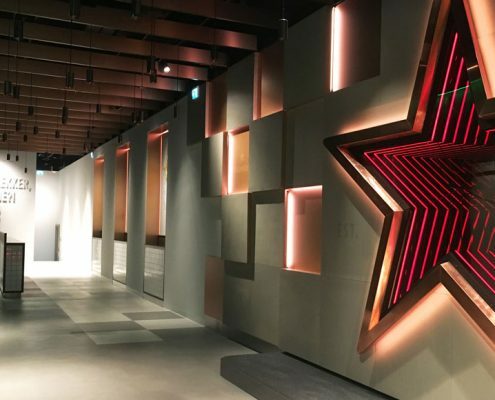 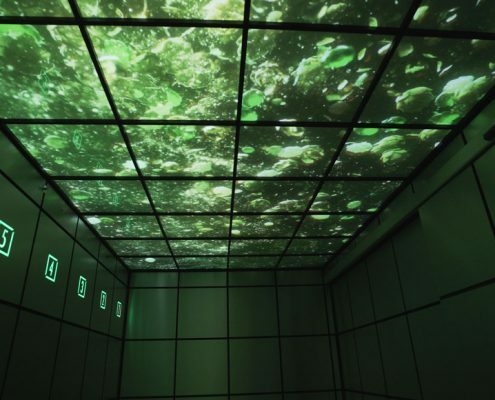 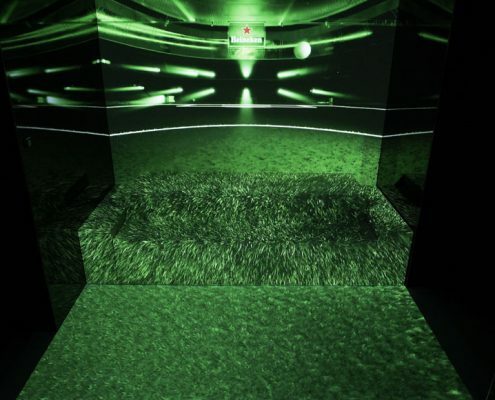 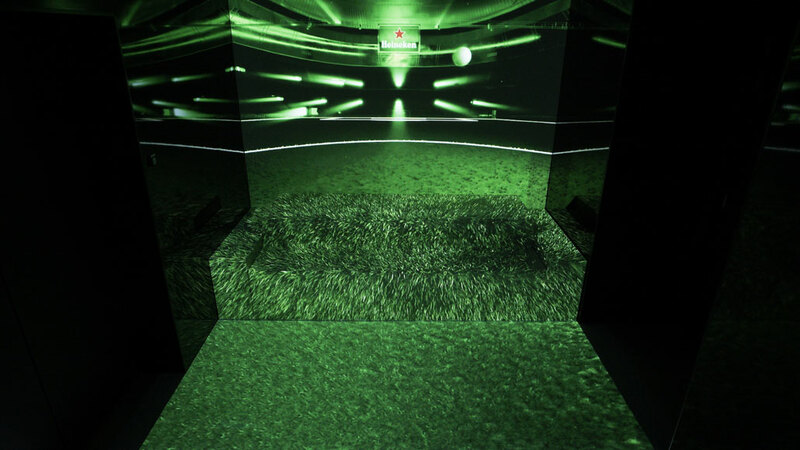 An important goal of the experience was to bring the latest innovations in spatial storytelling to the Heineken Experience and to create a spectacular new ride in the heart of the Heineken Experience. 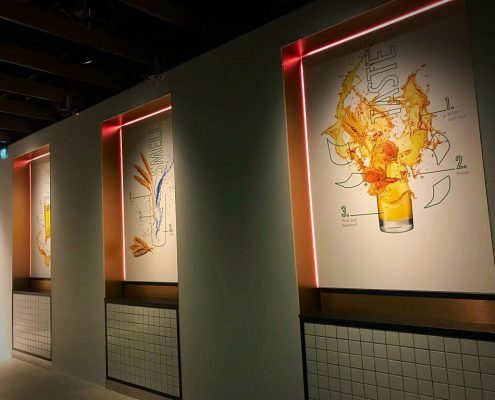 With almost 1 million visitors a year, Heineken was also looking for ways to enlarge the capacity of the experience and to create a more fluent visitor flow and reduce waiting times. 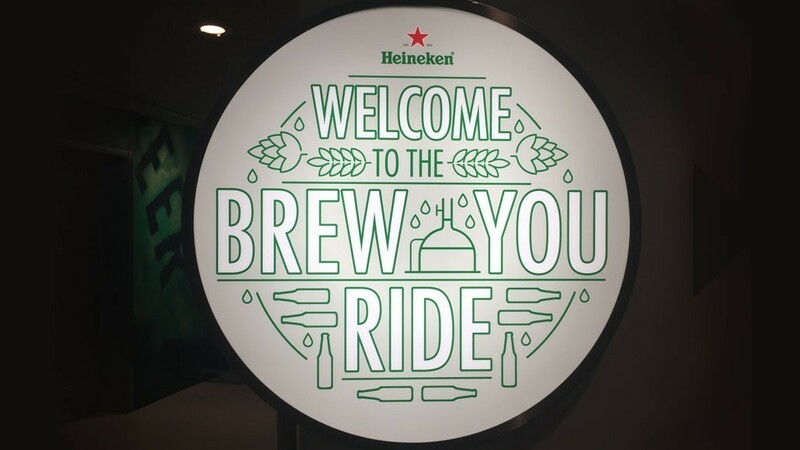 The ‘Brew You Ride’ was developed in close relationship with the staff and management of the Heineken Experience. 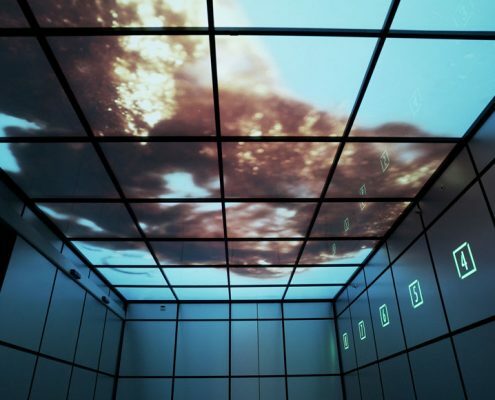 NorthernLight also closely cooperated with Berlin agency TAMSCHICK MEDIA+SPACE (responsible for the production of the media environment), Heijmerink Wagemakers Vormgeversatelier (responsible for the technical development and the production and installation of the interior) and Beam Systems (responsible for the AV hardware). 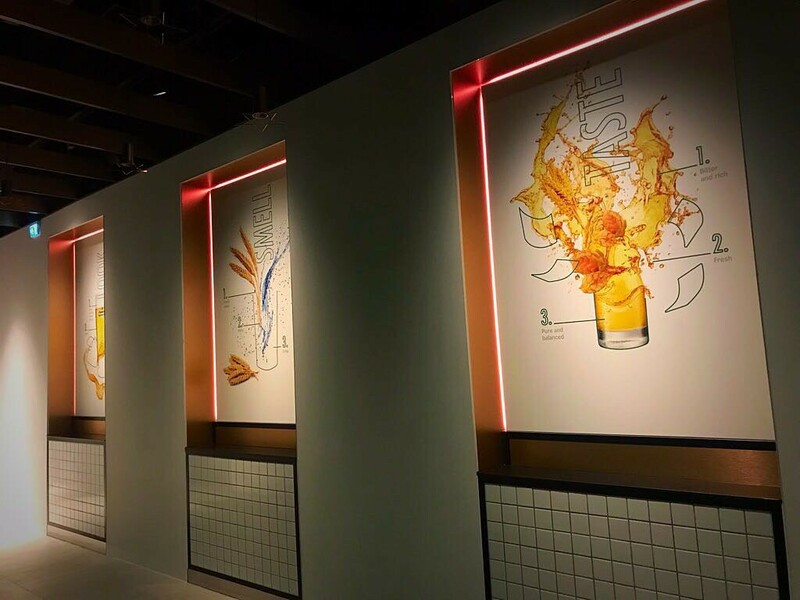 The new ‘Brew You Ride’ is open for visitors since 22 January 2018.